What's better than a pixelated, top-down gorefest set to frenetic synth music? 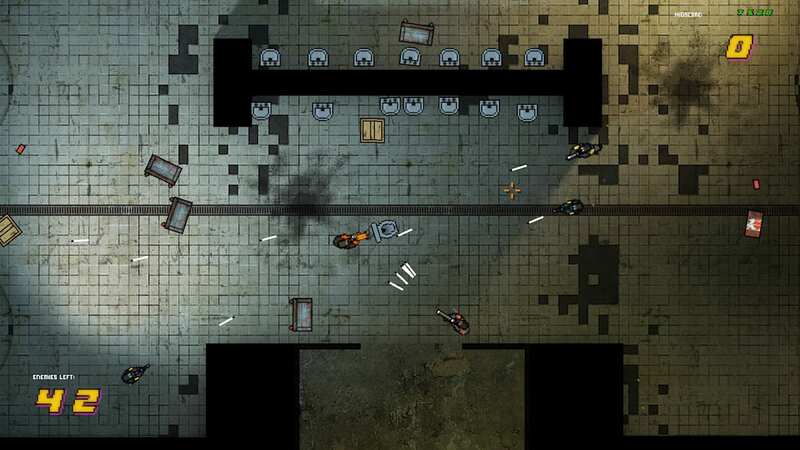 A pixelated, top-down gorefest set to frenetic synth music with a gravity gun. Half-Line Miami is an unapologetic mix of Half-Life 2, Valve's massively popular 2004 first-person shooter, and Hotline Miami, the ultra-violent top-down action franchise from Dennaton Games. Both games have secured their places in video game history and they're now together at last in one free PC game, complete with a level editor. Half-Line Miami comes from developer Thomas Kole, with music by Sung. Kole created Half-Line Miami at Belgium's Digital Arts and Entertainment, a school for video game development and visual effects. In the release trailer's YouTube description, Kole adds, "I made this game as a declaration of my love for these two games, and as an experiment in game design."